For one semester courses in Art Appreciation. A World of Art teaches students how artists create by helping them understand that creativity starts with critical thinking. 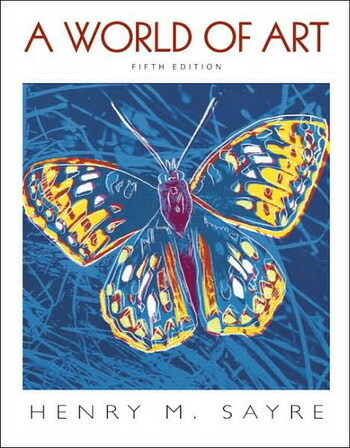 By guiding students through a rich array of aesthetic elements and artistic media, along with an overview of art history, this text encourages students to develop an appreciation for a diverse range of art. Author Henry M. Sayre demystifies the creative process by showing how artists use critical thinking and problem solving to create great works of art. Studying art also requires critical thinking and problem solving, and this text shows students how to use these skills to understand and explore the world of art.